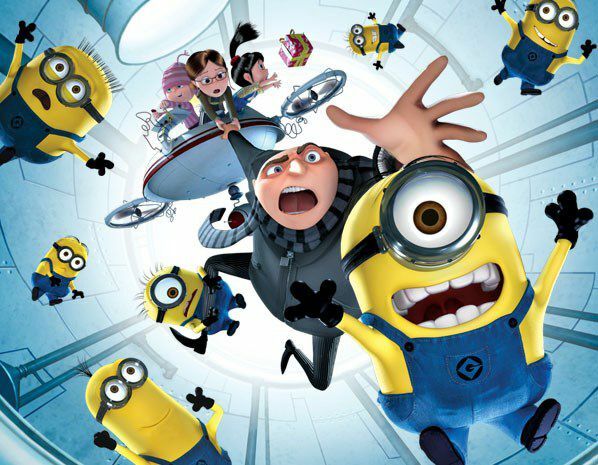 Based on the blockbuster film “Despicable Me,” a rollicking ride at Universal Studios Hollywood immerses families in the world of Gru and his Minions. The attraction includes a version of the "Despicable Me: Minion Mayhem" 3D Ultra-HD motion-simulator ride already at Universal Studios Orlando, plus “Super Silly Fun Land,” an interactive play zone. The queue takes guests through an elaborately themed neighborhood, featuring the familiar white picket fence homes, Gru’s ominous house and Ms. Hattie’s Home for Girls. Families can wander through Gru’s living room and encounter many elements from the movie, including the moon-shrinking SR-6 shrink ray, while zig zagging through Gru’s super-villain laboratory. Families don 3D "Minion Goggles" to go swerving, bouncing and plunging through the Minion training mission. Voiced by the film’s original stars, the immersive motion-simulator ride features the cast of characters from the film: super-villain Gru (Steve Carell), his adorable girls Margo (Miranda Cosgrove), Edith (Dana Gaier) and Agnes (Elsie Fisher) and an army of entertaining Minions. After the ride, kids can strut their stuff at a post-show Minion dance party. Don't forget to bring a change of clothes for your kids. Adjacent to “Despicable Me: Minion Mayhem” is an outdoor wet-and-dry play zone called “Super Silly Fun Land” that evokes the carnival from the film and features fountains, water play areas and splash pools. There's a nearby dry zone where kids can climb, crawl, jump and slide, while a Minion-themed ride takes families for a soaring, spinning ride and 360-degree views of “Super Silly Fun Land."